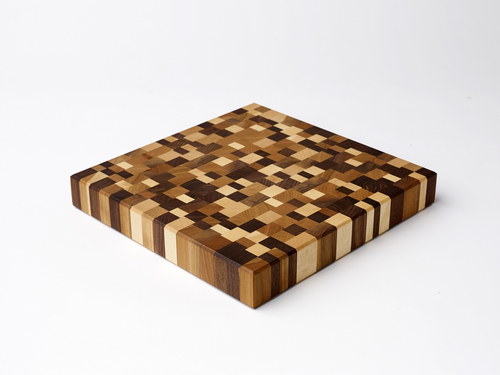 Handcrafted endgrain cutting boards, cheese boards and charcuterie boards by Robert Made It are perfect gifts for the cook and host on your gift list. Posted on November 8, 2018 by Lory MacDonald and filed under Home Decor, Wood Crafts and tagged ArtfestChristmas #ChristmasCrafts #ygk #ygkarts #kingston #ChristmasShopping. 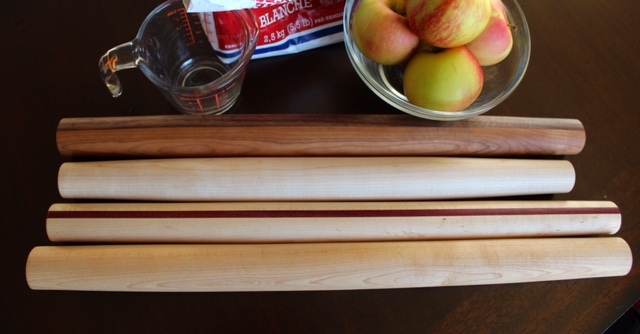 With the use of his lathe, Jim Sprague creates unique, food safe items that are bound to become future family heirlooms. From fresh cut, salvaged logs, Jim crafts his wood turned items intended to be used in everyday life, yet beautiful enough to be called art. Posted on October 31, 2018 by Lory MacDonald and filed under Home Decor, Wood Crafts and tagged ArtfestChristmas #ChristmasCrafts #ygk #ygkarts #kingston #ChristmasShopping. 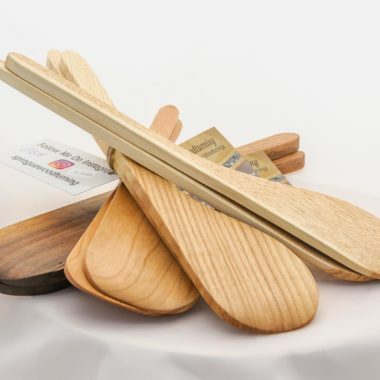 Working from the shores of Georgian Bay in Parry Sound, Randy Rosewell creates one of a kind, handcrafted, wooden kitchenware that can be either a beautiful addition to your kitchen or a unique gift for any occasion. Born and raised just outside of Parry Sound, Randy has passionately pursued woodworking all his life. A stonemason and woodworker in the Muskoka area all his life, Randy is always busy designing and shaping wood into beautiful and unique pieces that people will love and appreciate. Posted on October 23, 2018 by Lory MacDonald and filed under Home Decor, Wood Crafts and tagged ArtfestChristmas #ChristmasCrafts #ygk #ygkarts #kingston #ChristmasShopping. Ken Waller been an active woodturner since 1983. A hobby at first, it provided a relaxing diversion from his career as an aerospace engineer with the Canadian air force. 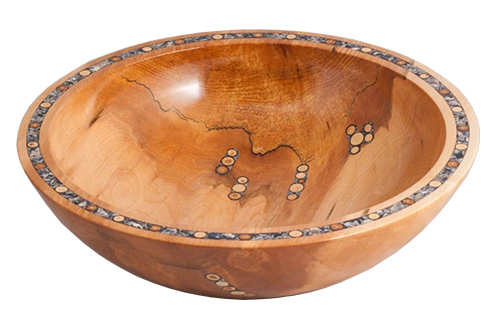 As Ken Waller Woodcrafts, he creates bowls, platters, pens, kitchenware and more. 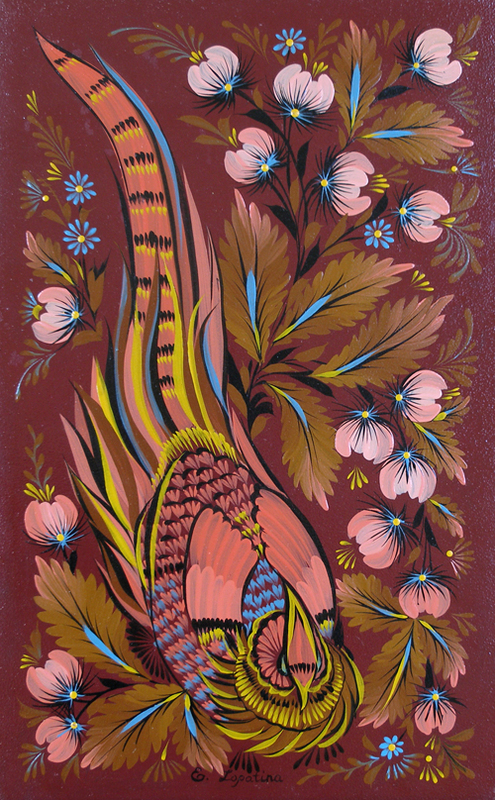 Ken has been selling his creative works since 1996 at craft shows and local galleries. He was president of the Valley Wood turners (Ottawa) from Jan 2001 to Dec 2005 and has been a wood turning teacher for over ten years. Ken retired from the military in 2005 and now lives in Sharbot Lake where he has a 1500 sq ft shop facility that includes a separate gallery/display area. Posted on October 18, 2018 by Lory MacDonald and filed under Wood Crafts and tagged #ArtfestChristmas #ChristmasCrafts #ygk #ygkarts #kingston #ChristmasShopping. 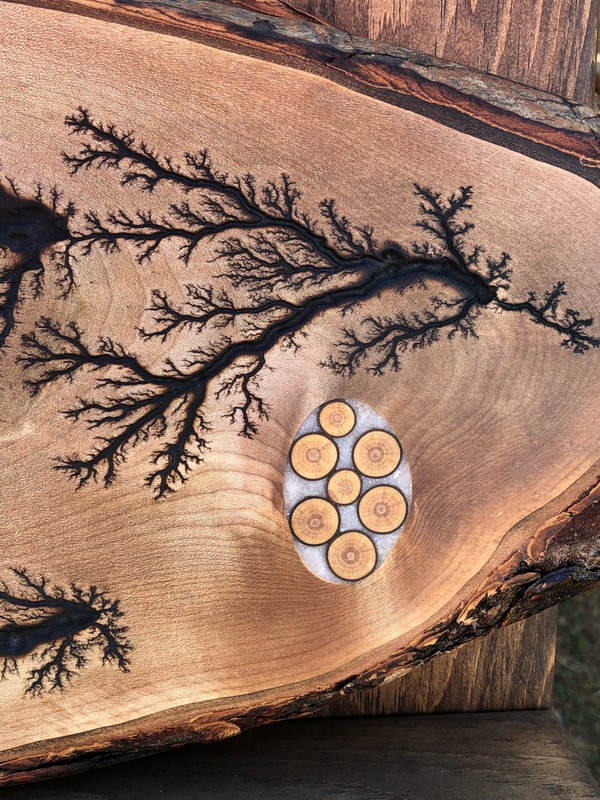 Jenn, Chris and Kobie bring their different skills to Happy Knots Designs and turn wood and wool into functional crafts such as cutting boards, coasters, beer and wine caddies, hats, scarfs and more. Great gifts and stocking stuffers from this creative team in Sydenham. 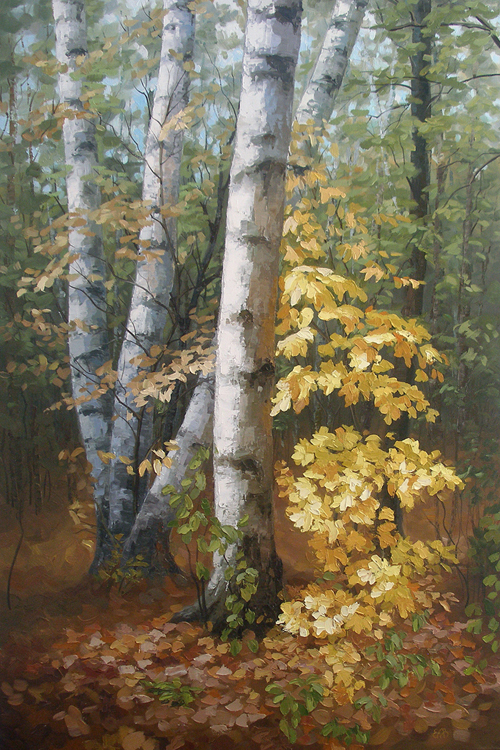 Posted on October 10, 2018 by Lory MacDonald and filed under Home Decor, Wood Crafts and tagged #ArtfestChristmas #ChristmasCrafts #ygk #ygkarts #kingston #ChristmasShopping. KNV Studios produces stunning works of functional art. Live edge wooden bowls and classic salad bowls in various species Victor adds some food safe colour on the exterior of the bowl leaving the interior natural. Got a foodie on your list? Posted on October 2, 2018 by Lory MacDonald and filed under Wood Crafts, Home Decor and tagged ArtfestChristmas #ChristmasCrafts #ygk #ygkarts #kingston #ChristmasShopping. Where unique design joins well crafted wooded creations. Twisted Twig creates and produces handcrafted functional wooden pieces for everyday usage. 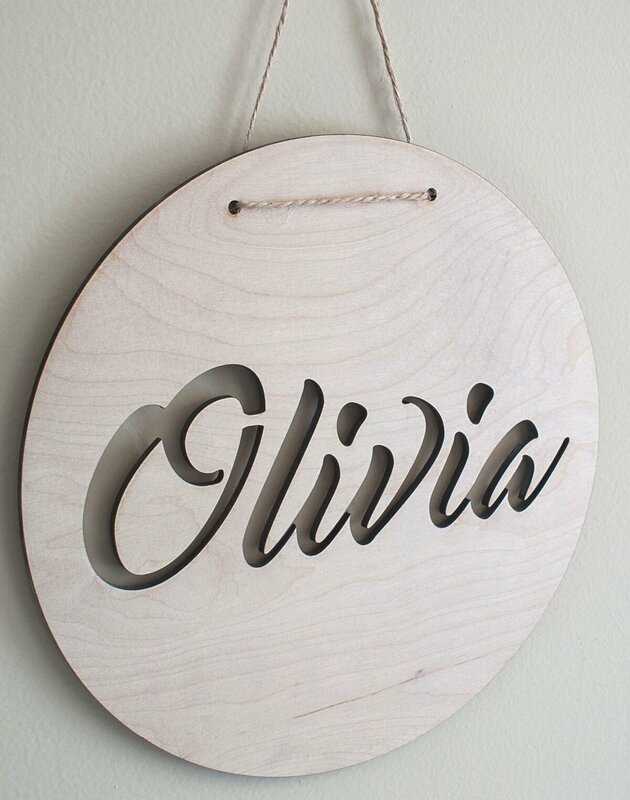 Their unique wooden items are all handmade using a variety of local & exotic wood and hand finished using orange oil, mineral oil and beeswax. Handcrafted knife blocks, rolling pins, cheese boards and more make unique gifts for the cooks and design lovers on your list! Posted on October 1, 2018 by Lory MacDonald and filed under Wood Crafts and tagged #ArtfestChristmas #ChristmasCrafts #ygk #ygkarts #kingston #ChristmasShopping. Generational Design handcrafts live edge wood and metal hoop wall clocks in various sizes using sustainably harvested native Ontario species. Generational Design uses negative carbon woods that is milled largely as a result of construction, storm damage or disease. These beautiful timepieces make a gift that will last for generations. Posted on September 28, 2018 by Lory MacDonald and filed under Wood Crafts, Home Decor and tagged #ArtfestChristmas #ChristmasCrafts #ygk #ygkarts #kingston #ChristmasShopping. Whistler Woodcraft featured @ Artfest Toronto! 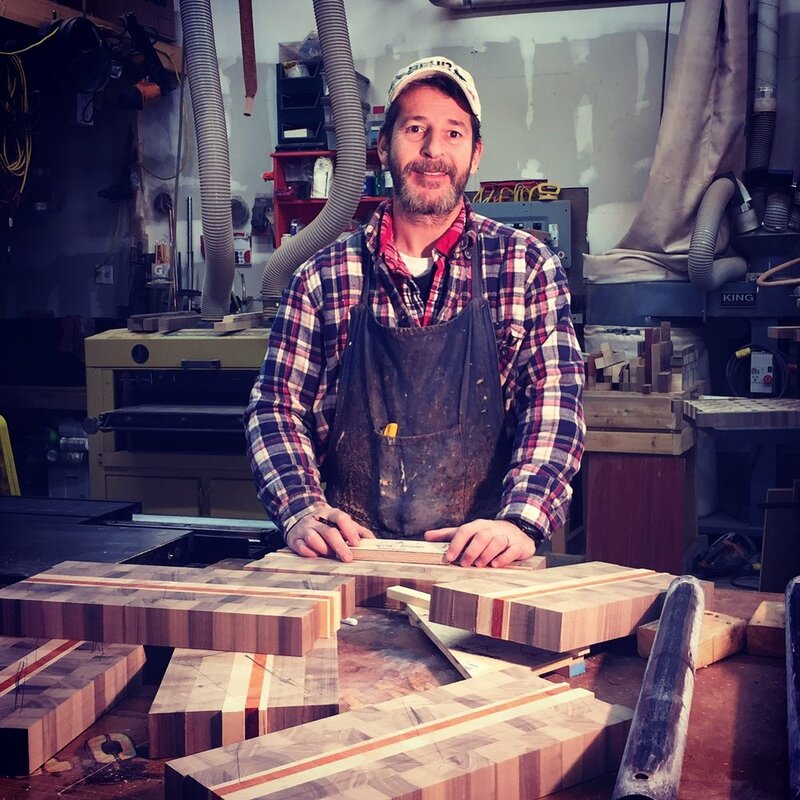 Whistler Woodcraft founder, Walter Kowal, makes a fine selection of woodcraft items including original, one-of-a-kind, handcrafted candle holders, bowls, charcuterie trays and small tables made from up-cycled, locally-sourced wood. He uses recycled Niagara wine barrels to make candelabras, charcuterie trays and small tables. He also uses Ontario live-edge woods sourced from local Niagara farms and woodlots to make candles, platters and small tables proudly supporting the local industry. The range of his popular Forest Finds candle holders of all types has expanded to include Niagara plum,. peach, cherry and apple wood. With Walter's expanded workshop he now offers larger platters. 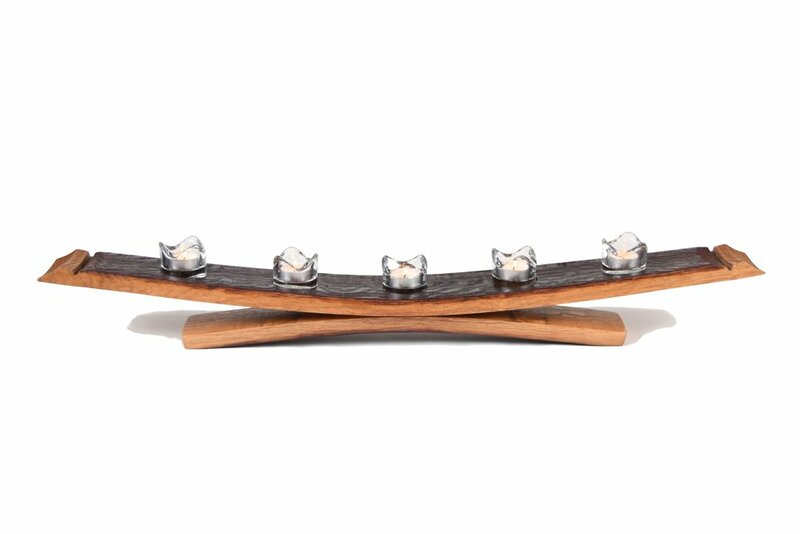 His Ontario tap-maple charcuterie trays were twice selected by House & Home magazine as an Ontario Wood holiday gift of the year. His decorative products are finished in food-safe tung oil for a quality and long-lasting finish. Some platters are finished in a food-safe mineral oil/beeswax finish that he makes myself. Find Walter's woodwork at Artfest Toronto this Labour day long weekend from Aug 31st to Sept 3rd! See you at the show! Posted on August 28, 2018 by Lory MacDonald and filed under Wood Crafts and tagged Whistler Woodcraft Artfest Toronto Candle Holders Wooden Bowls. 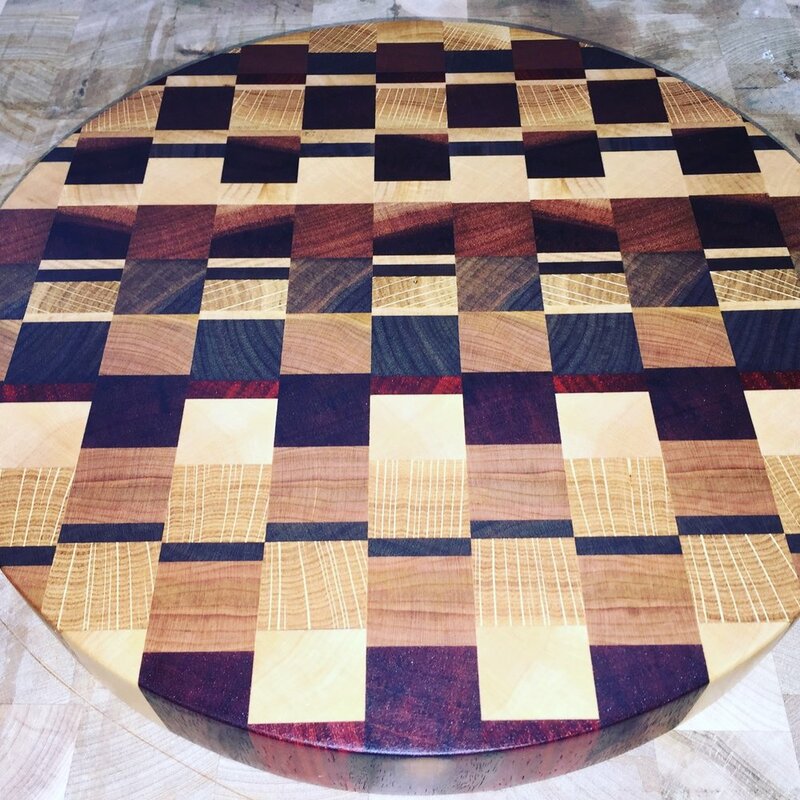 Robert White hand crafts 3-D end grain cutting boards and cheese boards that are made from the finest selected wood pieces. His work is unique and the quality of his boards will last a life-time if you give them the proper care. Robert will be at the upcoming Artfest Toronto show, from Aug 31 - Sept 3 so drop by and check out his woodworking skills. "I often teach young people the joys creating and wood working, rule #1- "good enough is never good enough, only perfection is good enough" - Technical skills are just one aspect of the disciplines required to be a great wood worker. Learning to be patient, taking pride in every step of the process is equally important. Never rushing for the completion of a project but feeling somewhat sad at the projects completion, this is when you know a woodworker has truly put his heart and soul into the piece. No matter the size or monetary value, each of my creations are pieces that make up the whole of my legacy, a fact forefront in my mind with everything I make." 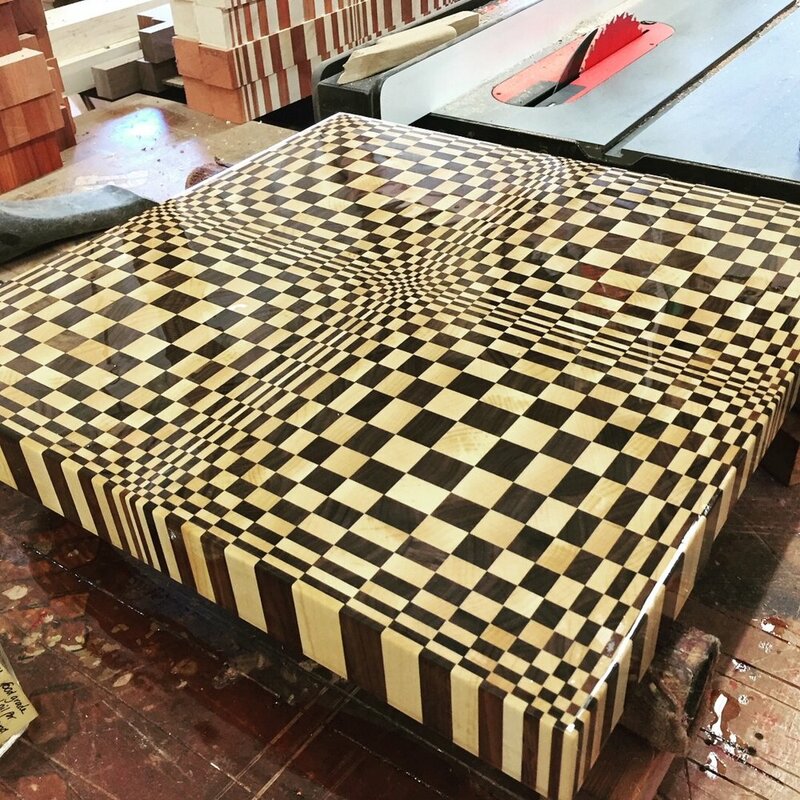 Posted on August 20, 2018 by Lory MacDonald and filed under Wood Crafts and tagged Robert White Cutting Boards End Grain Artfest Toronto Woodwork. Artfest Toronto hosts an annual fine art and craft event in both the spring and fall at the Distillery Historic District. Offering 'something for everyone', this show features a plethora of outstanding Canadian artists and artisans from across the country including glass artists, gourmet food exhibitors, photographers and painters, woodworkers and sculptors - to name just a few! At Artfest Toronto, you can also enjoy rockin music, free art programming for children and much more; you won't want to miss this inaugural event. Since the events inception at the Distillery over ten years ago, Artfest Toronto has turned into one of the most unique fine art and craft shows around! Woodcrafts remain a steadfast and valued favourite at art and craft shows. In fact, there has been a major surge of re-engagement in the handcrafted sector in general. With the strain on our environment becoming a daily topic of concern, Canadians are moving away from purchasing mass produced items. The discovery and awareness of the true cost of manufacturing and moving these products around the world has affected great change in our society. Any consumer decision to stop buying a product can ultimately and substantially influence corporate strategies. New trends in the fast food industry’s offerings are one example of the marketplace’s responsiveness to consumers’ willingness to walk away, the revolt against plastic bottles another. A few years ago, many of us were worried that the crafter’s vocation was going to completely die out. A generation of emerging youth has grown up witnessing the strains on our landfills and has chosen craft making as a career, hence the resurgence of the slow craft movement. Colleges have been bursting at the seams in the craft sector, setting a trend for career makers. Etsy, an online platform for artists and artisans to sell their work around the world, facilitated $2.4 billion in handmade craft sales in 2015. As a lifetime crafter myself, it is with a sigh of relief that I see this trend in a major upswing. Another pressure influencing behavior is the desire to slow down, get off the computer and actually do something with our hands rather than typing on a keyboard. Humans are makers. It has been key to our survival since we inhabited caves. We love working with our hands and the most abundant resource we have in Canada is wood from our forests. Every tree and piece of wood sports “personality” created by its life’s story of weather and environmental stress. Spalting, burls, odd shapes, and insects make each piece unique. Woodcrafters love wood and all its anomalies. Unlike many materials in the jewellery sector, wood is affordable. 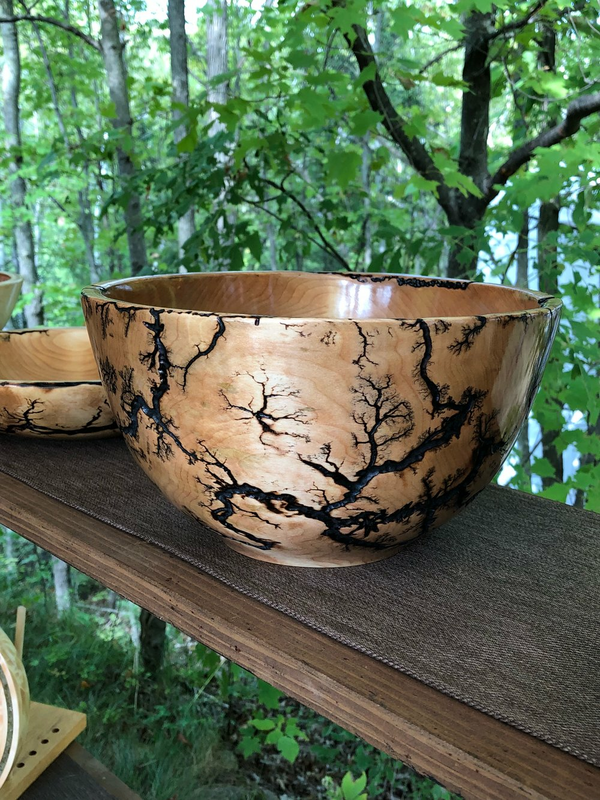 Artfest has several talented woodcrafting artisans who are making functional and decorative pieces: peppermills, coffee grinders, end-grain cutting boards, wooden utensils and pens, gorgeous sculptures, turned bowls, trays, art pieces from reclaimed wood, and much more. These are great items for gift giving, loft and condo decorating, and everyday use. Posted on August 29, 2017 by Lory MacDonald and filed under Wood Crafts and tagged Wood Carving Woodcraft Artfest Toronto Distillery. Woodcrafts remain a steadfast and valued favorite at art and craft shows. In fact there has been a major surge of re-engagement in the handcrafted sector in general. With the strain on our environment becoming a daily topic of concern, Canadians are moving away from purchasing mass produced items. The discovery and awareness of the true cost of manufacturing and moving these products around the world has affected great change in our society. Any consumer decision to stop buying a product can ultimately and substantially influence corporate strategies. New trends in the fast food industry’s offerings are one example of the marketplace’s responsiveness to consumers’ willingness to walk away, the revolt against plastic bottles another. 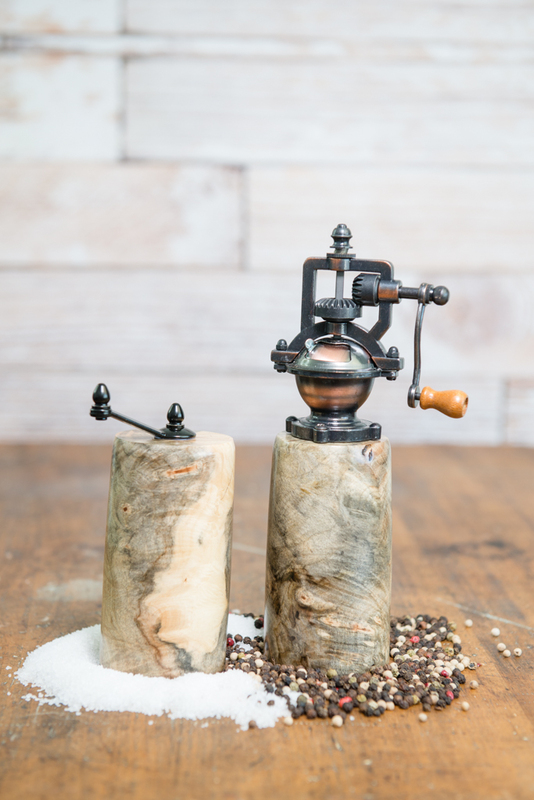 Artfest has several talented woodcrafting artisans who are making functional and decorative pieces: peppermills, coffee grinders, end-grain cutting boards, gorgeous sculptures, turned bowls, trays, art pieces from reclaimed wood, and much more. These are great items for gift giving, loft and condo decorating, and everyday use. 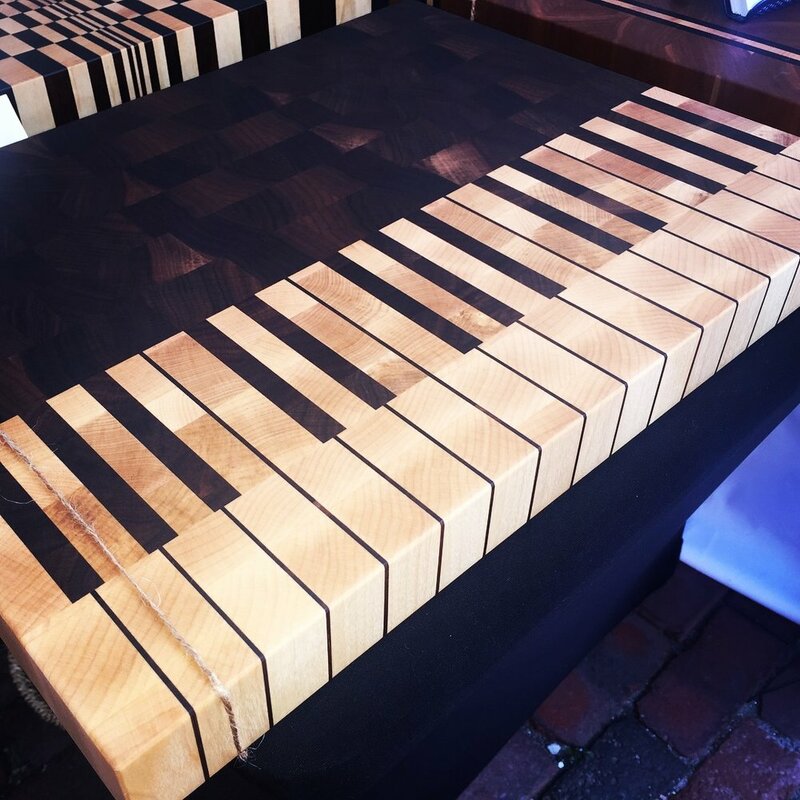 At Artfest Kingston, you'll find a vast array of wood crafts hand made by Canadian artists. See you all at the show from July 1st - 3rd this Canada Day long weekend! Posted on June 13, 2016 by Lory MacDonald and filed under Wood Crafts and tagged Artfest Kingston Wood Crafts Woodworking Artfest. "My Name is Jeff and I carve spoons! But that's not how I would define myself. As stated on my business card, I'm first and foremost a husband, then a loving father, followed by my profession as a woodcarver. My business Lotsofwoods started off being none other than a quick tutorial from a youtube video, which evolved into an extreme knowledge of woods, techniques, styles and history. 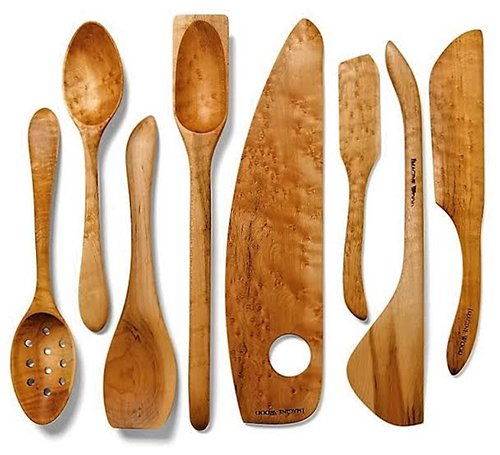 My main business is carving traditional style wooden spoons, cups, bowls and various wooden wares. I'm looking for ways of branching off (pun intended!) into other areas to broaden my experience and my connectivity to more people! My work is my own. I take pride in each and every one of my works and guarantee the life of it! " Jeff Ballantyne hand carves spoons, bowls, and other kitchen and eating utensils, all ranging in prices from the lowest being $10 and the highest over $100. They are carved in a traditional manner to replicate a traditional product in the truest possible form. Each and every one of his products starts from a tree log and end up as the finished product, his hands being the only thing touching it from start to finish. He uses various hand tools, relying on a very sharp edge to my knife to create a clean, handmade product. Each item is finished with a coldpressed linseed oil. Some are painted using a non-toxic, food-safe, milk paint. Posted on August 31, 2015 by Lory MacDonald and filed under Wood Crafts and tagged Wood Carving Spoons Artfest Toronto.